Korn Ferry is a global organizational consulting firm. It helps companies design their organization – the structure, the roles, and responsibilities, as well as how they compensate, develop and motivate their people. This includes helping organizations select and hire the talent they need to execute their strategy. Korn Ferry’s nearly 7,000 colleagues serve clients in more than 50 countries. Korn Ferry features three unique business lines: Korn Ferry Executive Search helps businesses attract executive talent, Hay Group aids businesses in organizing, aligning, and rewarding employees, and Futurestep delivers professional talent that builds leadership. With three groups focusing on all areas of the corporate talent spectrum, Korn Ferry’s marketing team is often tasked with creating insightful content for decision-makers from a wide array of dissimilar industries, from industrial companies to healthcare organizations. Korn Ferry hoped to help each piece of its content find the right customer at the right time without becoming redundant, according to M. Foley, Global Campaign Manager, Digital Marketing for Korn Ferry. And while Korn Ferry hoped to generate new leads, gated content was often cumbersome and only provided basic contact information without insight into which parts of their content audiences found appealing. 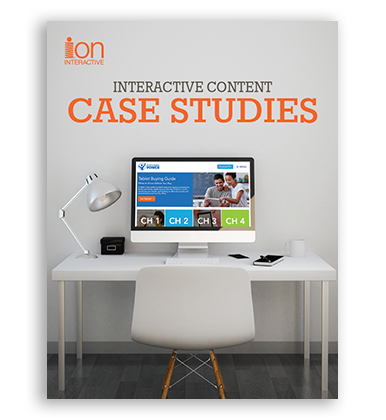 In order to drive engagement, Korn Ferry partnered with ion to create interactive content that yields relevant data without off-putting forms or serving the same content to the same customer multiple times. 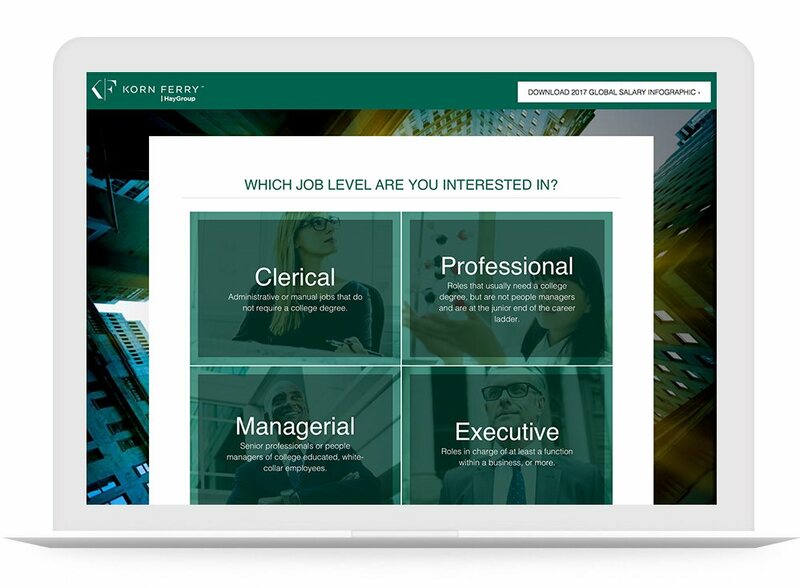 In order to battle content overload while still offering useful insights to their target audiences, Korn Ferry repurposed some of its existing whitepapers into interactive experiences. Analyzing user engagement on interactive chapters, quizzes, and calculators gave the Korn Ferry team a clear picture of which parts of the content different audiences found most compelling. For example, Korn Ferry created a whitepaper called “The Trillion Dollar Difference,” with an aim toward quantifying the unseen value of human capital. A simple form gating the content may have provided the marketing team with contact data, but it wouldn’t paint a clear picture of which findings and pain points described within the whitepaper were resonating with audiences. Adding interactive elements meant better engagement, better insights, and ultimately better leads. 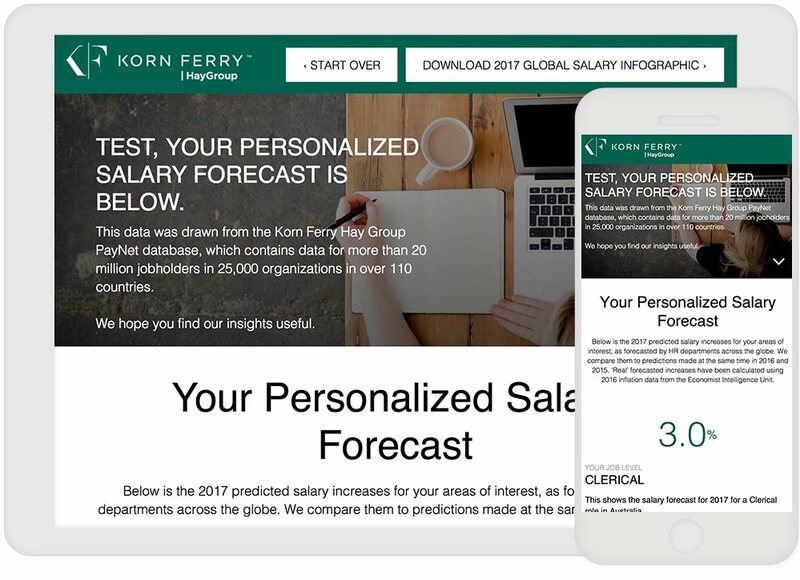 The engagement insights Korn Ferry received were an excellent indicator of audience interest, and feedback from interactive elements helped Korn Ferry better tailor future content to their target personas’ individual needs without sending redundant or repeat messaging. Korn Ferry used data from its interactive content in conjunction with Marketo, an ion integration partner, to create better-focused, data-driven solutions for user-centered marketing resulting in more impactful, and useful, marketing communication. One way we accomplish this is to isolate the high-value interaction points in the content. Not just a click on the Chapter 2 tab, or some other navigational signpost – but instead, we hand off to Marketo the high-value actions like exploring an interactive map or infographic. I’m all for optimization, but in our case, a click on navigation should live within its native system (ion). The benefits for customers are two-fold: we can identify and create content that’s more relevant to them, while also avoiding redundancies. Most consumers hate being chased around the internet by recurring ads and are hesitant to give out too much personal data that would minimize the redundancy. Korn Ferry is on the cutting edge of using interactive content to give audiences fresh experiences that never feel intrusive. 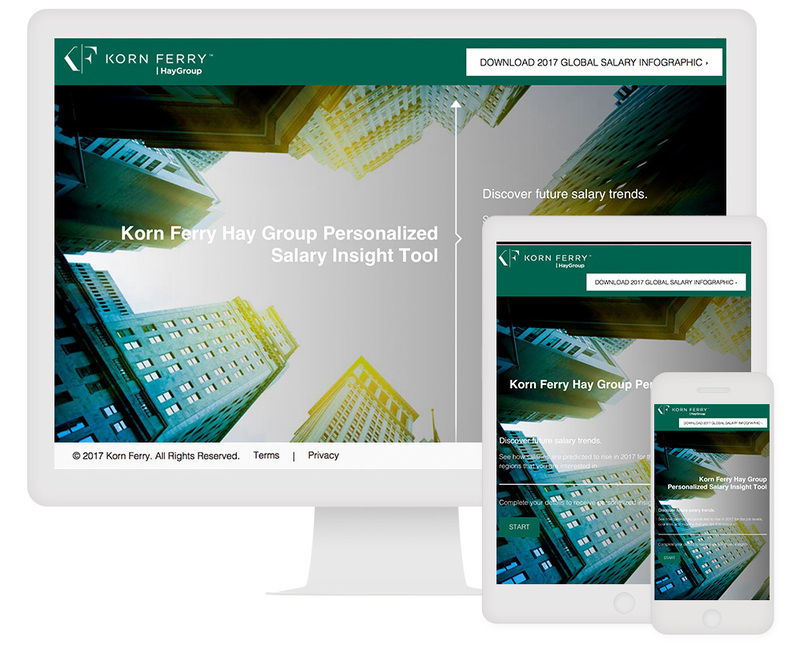 Ultimately, Korn Ferry hopes to integrate interactive solutions into the greater tapestry of its content offerings, from once-a-year flagship campaigns featuring a host of different contact points to smaller thought leadership projects. Their goal is simple: to improve the audience experience with relevant content that never feels repetitive.